Diopside is a member of the Silicates family. 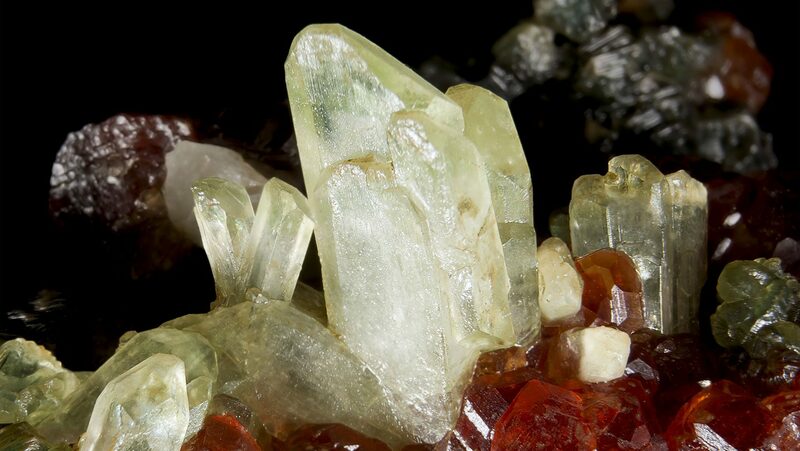 It comes in both massive and crystalline form, with color ranging from light to dark green. This mineral is readily available. 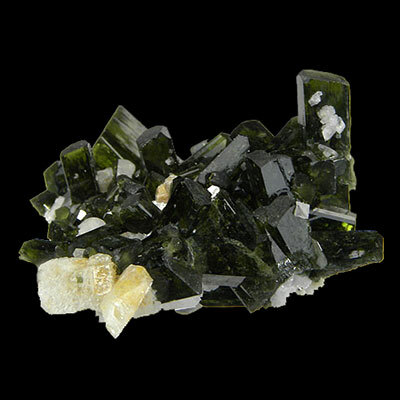 Read more about Diopside healing properties information and view photo galleries below. 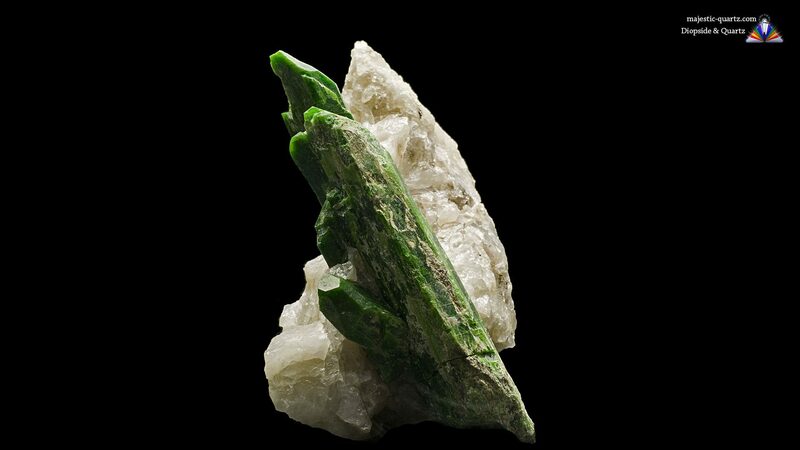 Diopside works on the unconditional love circuit, thus it is extremely adaptable for just about any healing use, be that physical or spiritual. It clears aside emotional blockages, helping one to focus on what is truly important to bring about positive and long lasting change. Diopside promotes self esteem and confidence – in both decisions made and physical abilities. This crystal promotes “Living from the heart”. This in itself removes inner conflicts and unwanted distractions. 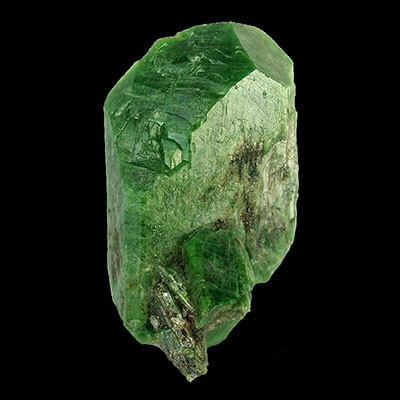 Diopside is very useful for students to work with, be it by way of meditation, or just carrying a piece about in ones pocket. It opens the students mind and spiritual aspects – enabling one to be much more receptive to new concepts, techniques and ideas. 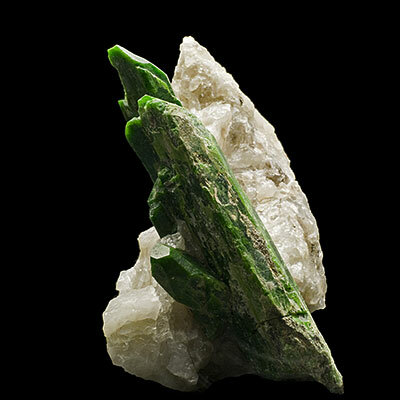 With Diopside projecting the green ray of healing, it facilitates healing throughout the entire cellular system – with a close focus on the heart, lungs, and kidneys. It kicks the bodies natural self healing systems into high gear – greatly shortening recuperative time lines from physical surgery and physical trauma. This crystal has been used with success in the regeneration of lung tissue that has been damaged by smoking. Women Going though the menopause process may find it useful to use in elixir form – helping calm the emotions and adapting to the physical changes. 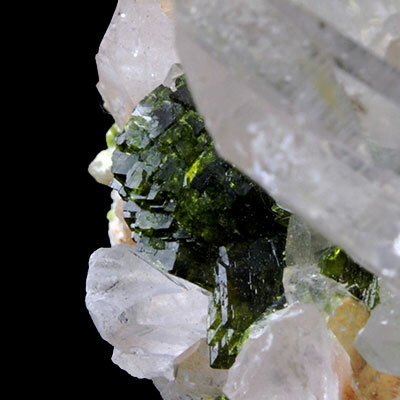 Enjoy Diopside Crystal healing properties yourself – Check out the Specimens available for sale at Majestic Quartz! Click the Diopside Crystal below for a high resolution photo! Do you have a personal experience, question or information pertaining to the crystal healing properties and meaning of Diopside? Please feel free to use the comments form below to share your knowledge with the Crystal Information encyclopedia. Please note, we moderate this feature to keep the site free from unwanted spam.